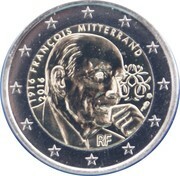 The design shows a profile of a pensive François Mitterrand. Adjacent is his personal emblem of a half oak/half olive tree. 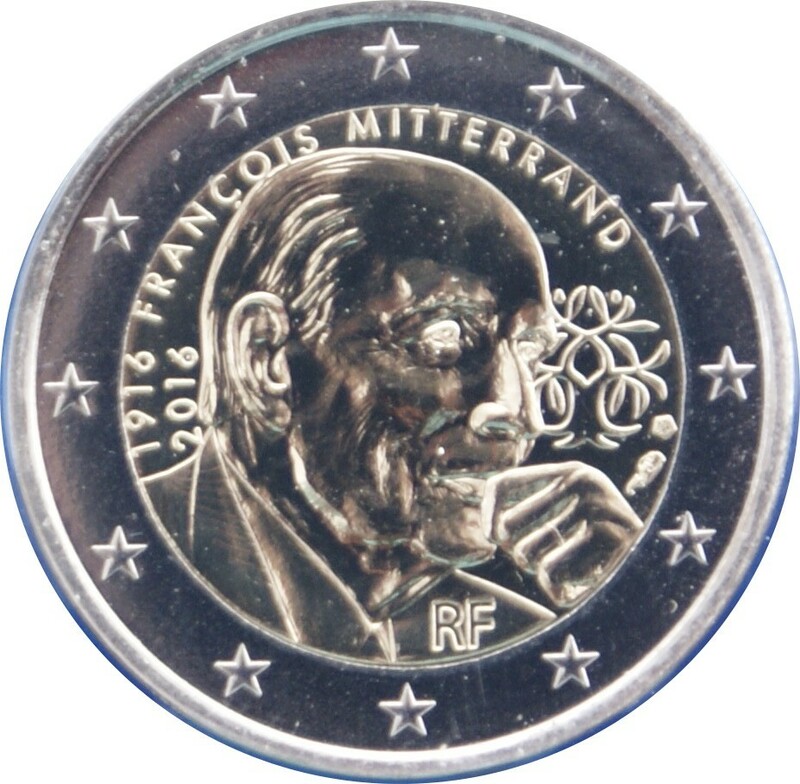 Above are the dates marking the centenary of his birth ('1916' and '2016') and his name. 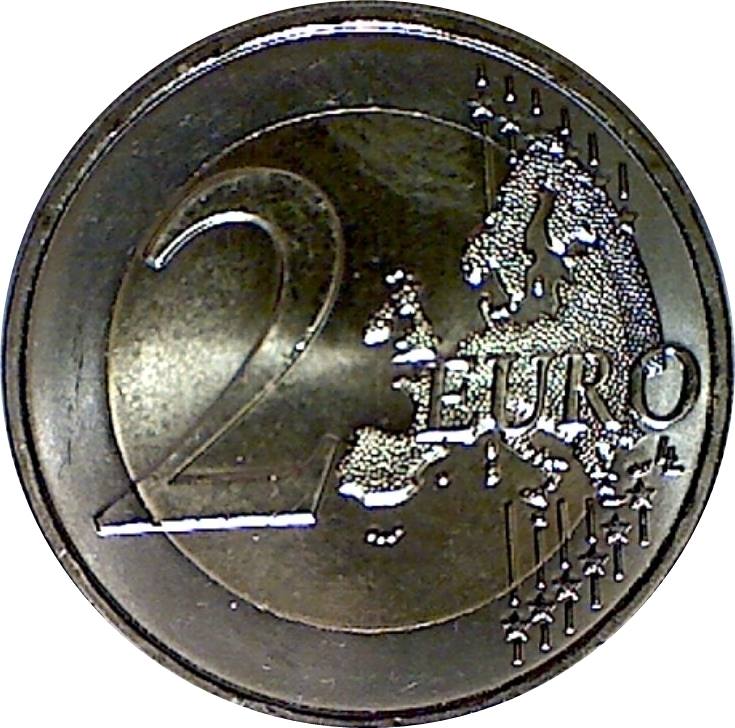 At the bottom, the indication of the issuing country 'RF'.